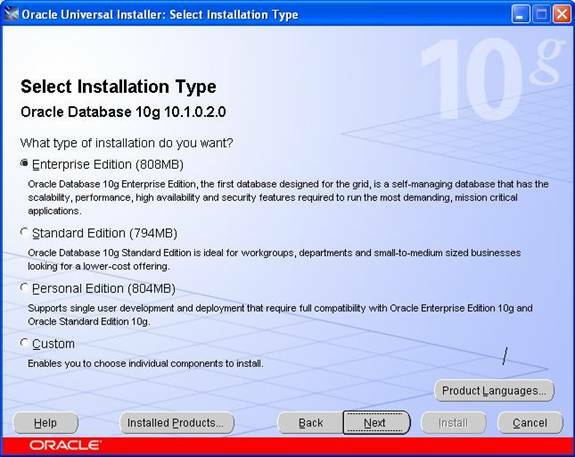 Oracle 10g Installation tutorial depicts step by step installation of Oracle 10g on Windows 7, 64bit (10204_vista_w2k8_x64_production_db) operating system. Installation on Windows 7 will return a operating system version compatibility error. However, there will not be any such issue during installation on older version of Windows operating system. 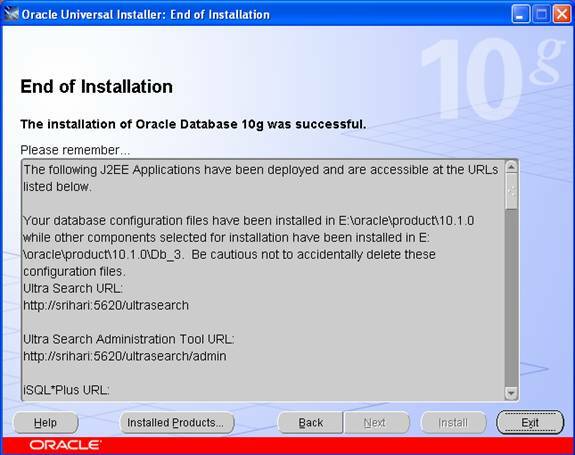 It is important to note that this installation method is neither certified nor recommended by Oracle. If you are planning to install Oracle 10g for production purpose then please follow the Oracle specified installation guidelines and use only the correct and supported version for installation. Oracle software is free for evaluation and educational purpose. If you do not have a copy, please start with the link below. 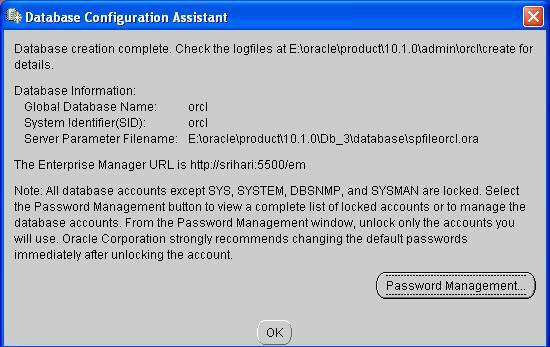 You need to register for free account with www.oracle.com to be able to download. 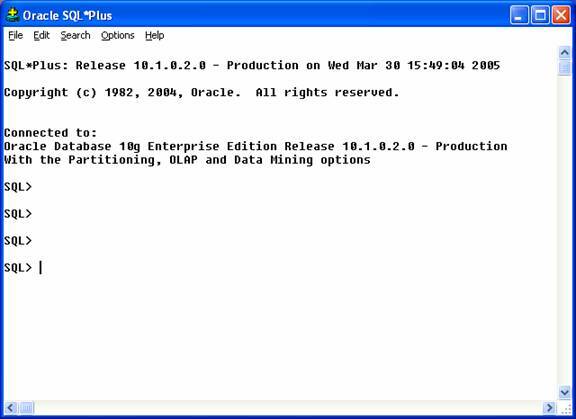 To download the Oracle Database 10g Release 1 (10.2.0.4) for Microsoft Windows Vista x64. 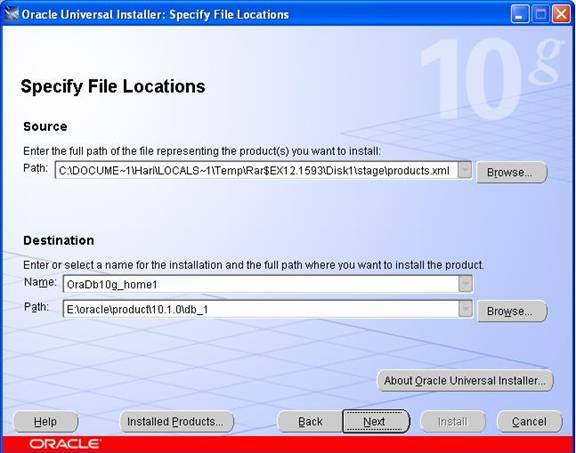 After downloading the Oracle10g from Oracle TechNetwork, you need to unzip the files and double click on the setup.exe program to get the installation process started. Let’s start with the installation process. Do not panic, you will only need to edit a couple of files to get the installation working. Let me show you how to handle this in a series of steps. Locate the file /install/oraparam.ini after you extract the installation zip file to your local computer or external disk. Change the following to include the version “Actual 6.1” as per the installation. You may see other version numbers as well. Use the appropriate version number for the changes you are going to make. You will need to add Windows 7 compatabilty entries in databasestageprereqdbrefhost.xml and databasestageprereqdb_prereqsdb refhost.xml. Find the following entries and insert the following . Keep in mind that 6.1 for VERSION VALUE is based on the version we are using in this tutorials. Use the appropriate version number based on the error message you get. Here is entry for “CERTIFIED_SYSTEMS” block adding the entry for Windows 7. 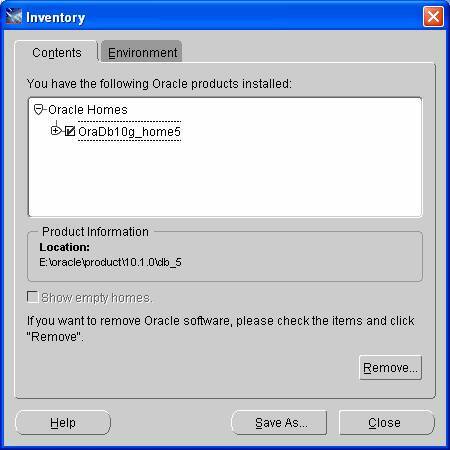 Change Oracle Home location and select the Installation type. 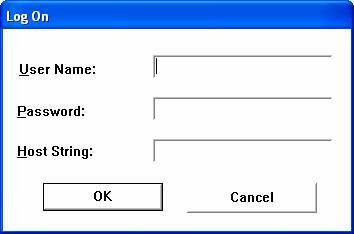 Enter the database name and password. Click “Next” to continue with the installation. 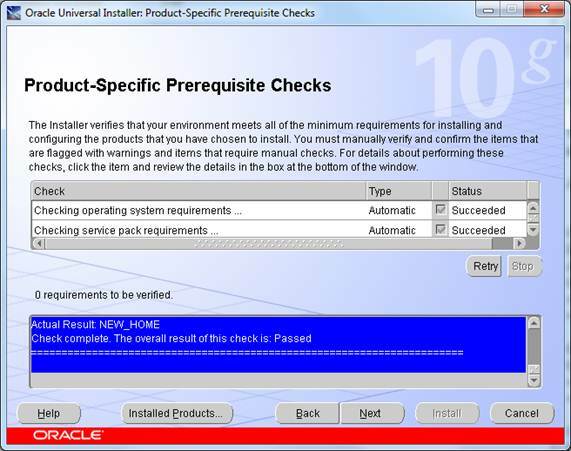 If you encounter any status with Error(s) during “Product-Specific Prerequisite Checks” then you need to check further before you can continue with the installation; otherwise your Oracle Server may not work. As soon as all the requirements gets verified and the errors are eliminated, You will see the “Succeeded” status as below screen shot for all the Product-Specific Prerequisite checks. 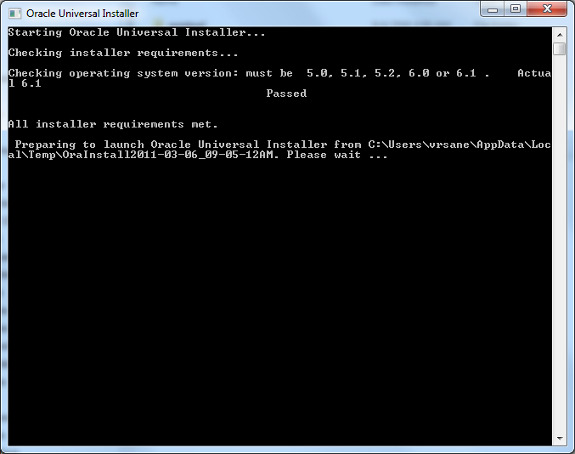 It is assumed that this is a fresh install so no other Oracle products should be installed at this time. In this screen, the Source and Destination locations must be selected. The Source path should reflect either your CD-ROM or the directory in which you unzipped the source files. Leave this as the default. In the example above, the source files were unzipped into c:DOCUME~1HARILOCALS~1temprar$ex12.1593diskstageproduct.xml. 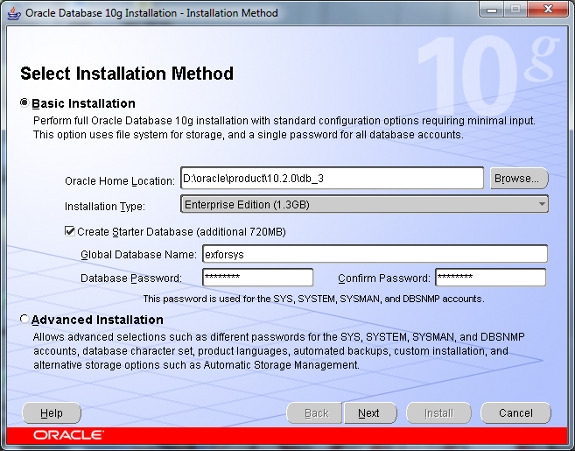 For the Destination, leave the Oracle Home named oraDb10g_home1 as the default. Choose a hard disk drive that has at least 6 gigabytes of free space. In the example here, we are using the E: drive. Leave the Oracleproduct10.1.0db_1 path as it is (the default). If you must change this to a different drive, only change the drive letter and not the directories. For this install, we chose the "General Purpose" Database option. Click on the Next button to continue. In this screen (shown above), the products and files that will be installed are summarized. Note that in this example, it will take 1.5 GB MB of disk space for the installation of the software. 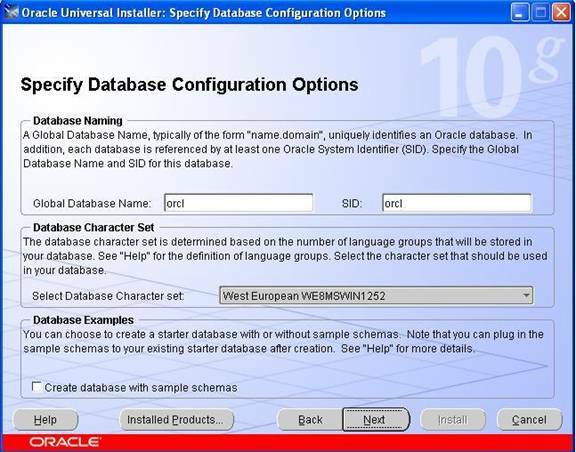 Additional space will be required for the default database. If everything looks OK at this point, click on the Install button to begin the installation. 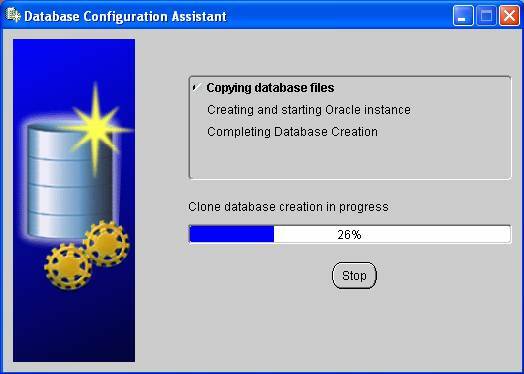 During the install, you will notice various Oracle products being copied over to the hard disk. 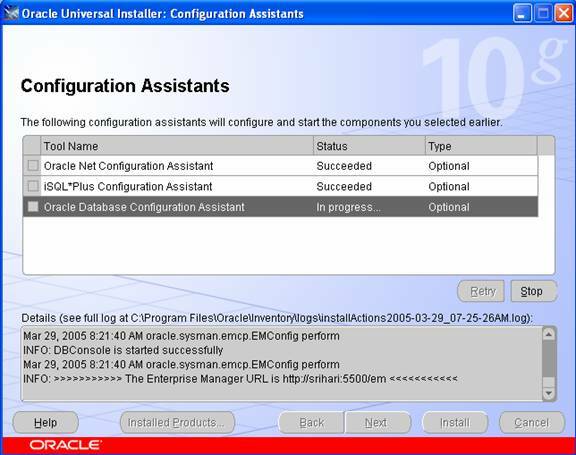 Once the installation is completed, the next step will be to configure the various additional services and the database. After completion of installation .reboot your computer. 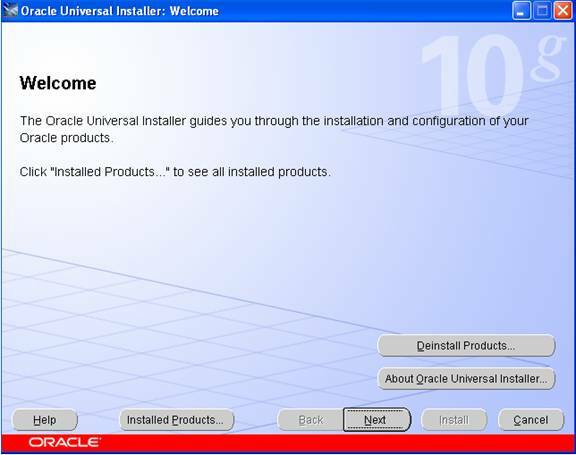 Click the button remove to remove the oracle products or you can remove directly on clicking deinstall product button in welcome page. 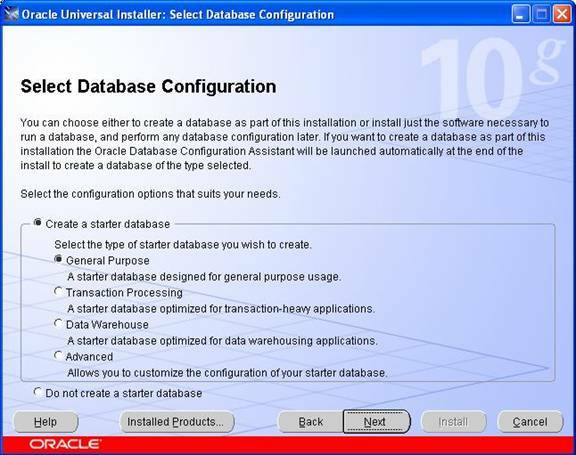 Go to start menu – > programs – >oracle-oradb10g_home5 – >application development -> click on the sql plus. 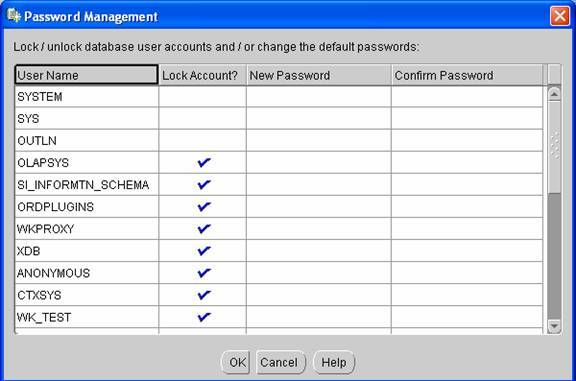 It will appears like the screen below, Once SQL Plus is running, you will be prompted for 3 things: Username, password and Host String. To remove the oracle products. After uninstall the products. Now you have to remove all the remaining oracle products manually run this command regedit.exe. You will get registry editor. 1. 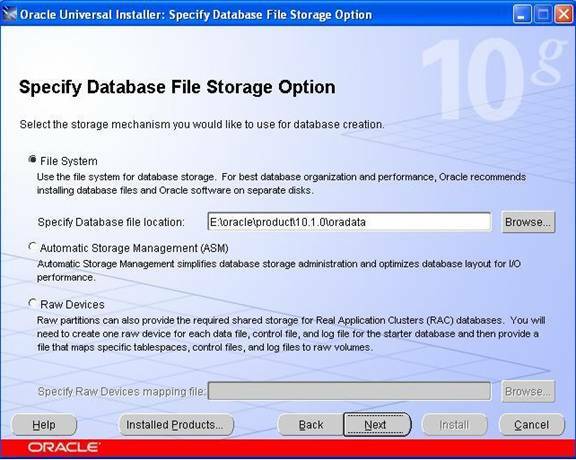 Where do I get the installable to install oracle 10g on my machine? 2. What should be the RAM of my machine in order to successfully run oracle 10g? 3. 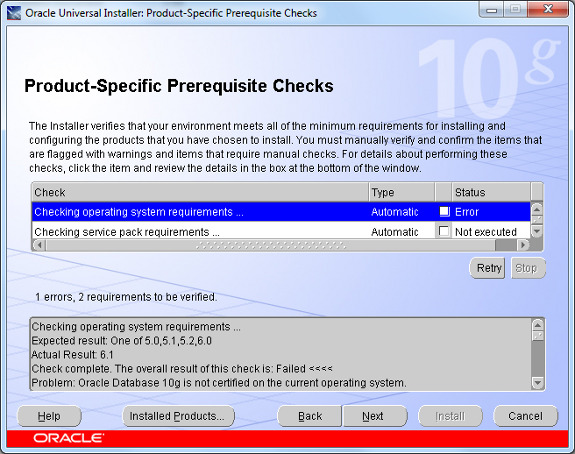 How much of disk space is required to install oracle 10g? 4. What does G stands for in Oracle 10g? 5. 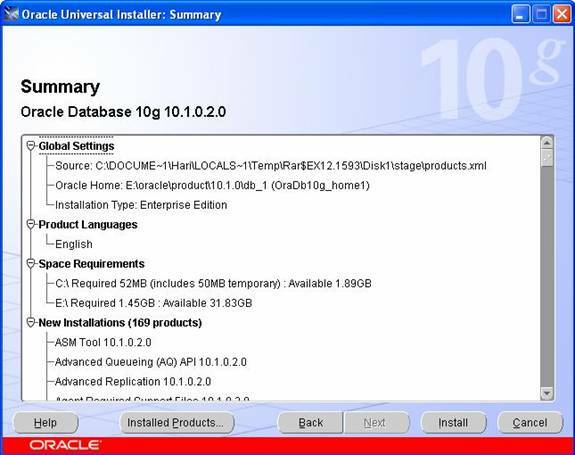 What are the new features of oracle10g?